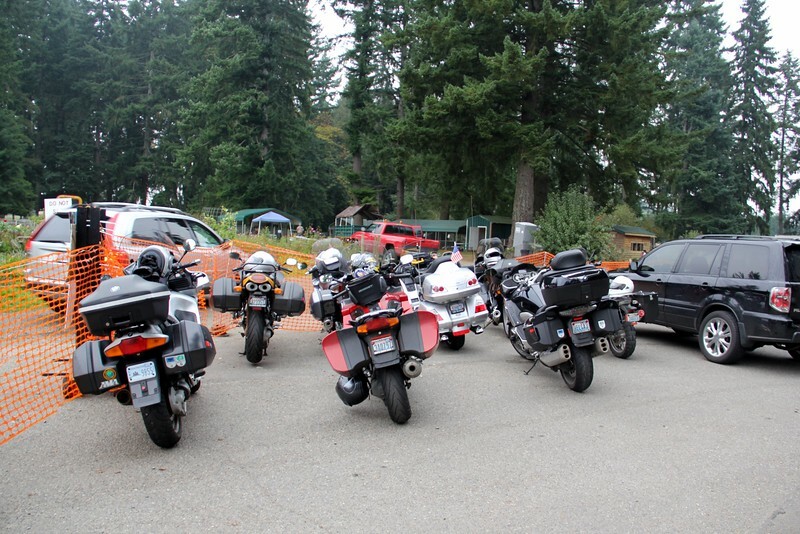 Chris Earle led us on a long ride from Olympia to Lacey, Capitol Forest, McCleary, Adna, Vader,Cinabar, Morton,Elbe, Eatonville and Orting. Great ride at a good clip. Last chance for a dry road ride or a while. Packed in tight, they let us park right in front.